Example date of collection is Friday, you will need to return on the coming Monday before 12pm else 30% of deposit will be forfeited. Deposit is necessary so that item will not be abused during the loan period. Select self collection during checkout as the shipping method will be confirmed at the listing here. Input at the order memo during check out on the delivery time and venue. Input at the order memo during check out on the delivery & pick up date, time and venue. It’s finally here – the BIG day where you pledge your life to your soon-to-be life partner. Weddings are meant to be romantic celebrations of love and companionship. However, the planning process can be incredibly challenging. Every detail needs to be perfected and nothing can go wrong on that special day. 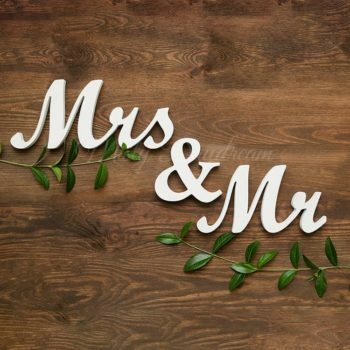 In particular, your wedding signage needs to be perfect. It is the first thing your guests will see upon entering the enchanting oasis that is your wedding venue in Singapore. Fortunately, Misty Daydream, the leading party supplies store in Singapore, is here to lighten the load. 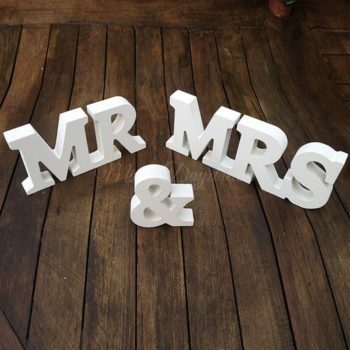 We offer customisable wedding signages that have been carefully crafted for our customers in Singapore. Our wedding signage range is unique and sophisticated. They are a must-have for any ceremony in Singapore. Having had numerous years of experience in catering supplies for weddings and other momentous occasions, we have a keen eye for what makes a wedding memorable and enchanting. 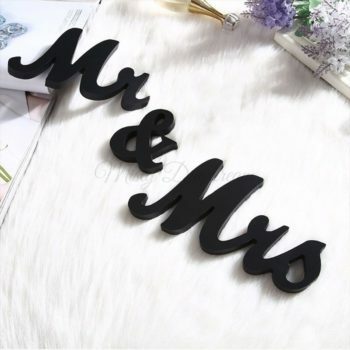 That’s why we have constructed our range of wedding signages for marriage ceremonies in Singapore. Need more wedding supplies? 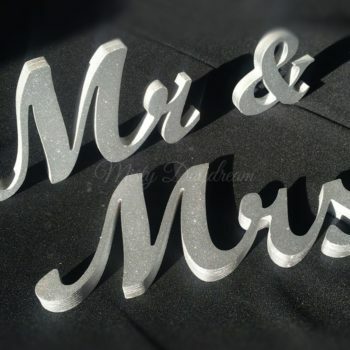 We offer a lot more than just signages at Misty Daydream. Click here to browse our online catalogue now. 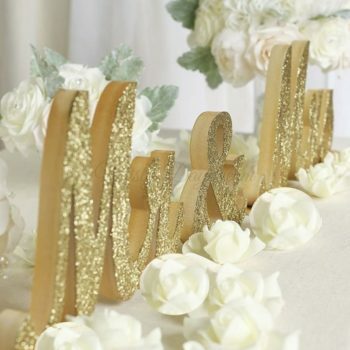 Whether you want timeless wooden sign table décor, glamourous table ornamentation with glitter, or an innovative wedding mirror signage, Misty Daydream is the company in Singapore that has got your back. 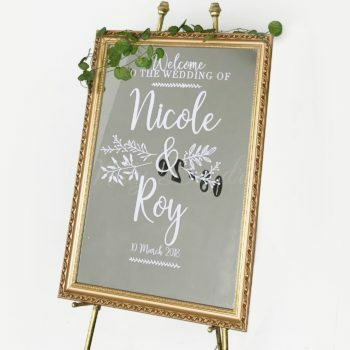 As an experienced party and wedding supplies platform, Misty Daydream has worked with hundreds of couples to develop wedding signages that have exceeded the expectations of our customers in Singapore. We are always innovating and learning to keep bettering ourselves and our services to our clients. If you are keen to come on board or inquire about what we have to offer, then get in touch with our team. Click here to learn more about our contact information.